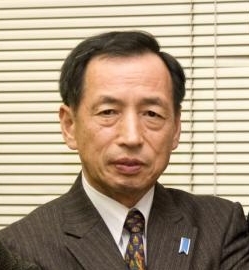 Candidate for Tokyo Governor, in July 2011: "Radiation in Fukushima Is Not That Dangerous." Mr. Toshio Tamogami is a military commentator who was also a career military officer and the 26th Chief of Staff, Air Self-Defense Force. He hasn't declared his candidacy officially, but hinted that he would run, on January 2 when he visited Yasukuni Shrine. "It is said it's dangerous, but in reality, radiation in Fukushima is not that dangerous. Has a crow flying over the [Fukushima I] nuclear plant dropped from the sky? Have you seen fish floating [and dead] in the ocean near the plant? It is gradually being proven that radiation is not dangerous." Needless to say, but Mr. Tamogami is pro-nuclear according to his wiki entry in Japanese. He is also from Koriyama City in Fukushima Prefecture. Mr. Tamogami for one, and Mr. Kenji Utsunomiya, a liberal attorney who was the distant second in the December 2012 Tokyo gubernatorial race which was won by Mr. Inose by a landslide. It looks LDP and DPJ are both eying to present their candidates (possibly the same candidate) at the last possible minute, just in case the luck works. Historically, for some unknown reason, the candidate who declared his candidacy the last almost always won the race. So they are probably holding the announcement until the last minute. Not much, as far as I've seen or heard so far. The Tokyo gubernatorial election is to be held on February 9, 2014. I mean it's february 2014 for the election (last sentence). Thank you for your informations, always. Damn this never ending queue of sacks of sh1t in suits. The Romans eventually discovered that storing wine in pots with lead seals was a bad idea. Took them a long time to realize it, but by then, the damage was done. Anonymous@6:14 They probably left for the winter, went south to Kyushu. More to the point, this site used to have woods and fields, now it has tank farms and ALPS facilities; there is little to attract any kind of wildlife, although there is probably an active garbage dump with lots of rats. Re Mr Toshio Tamoagami: Why is there not a movement in Japan to require politicians who wish to opine on Fukushima to first spend a week working there? Jobs suitable for a politician are surely available, because no politician would ever admit s/he was even less capable than the homeless wretches getting swept into working there. Who knows, some learning might take place and surely there would be political brownie points for having helped save Japan by working at Fukushima. The answer to your question netudiant is that the learning has already taken place, that word has actually traveled quite well amongst those in Japan who are capable of assessing the dangers there accurately. That's why they stay away. Passing by Reactor 3 "at speed" is doubtless the Word. Tamaogami is what he appears to be: a bloviator/bellows depleted of air. I'm sure any number of sailors from the Ronald Reagan would love to slam their fists squarely in the middle of his clueless face. There are people who want to punch those sailors and their profiteering attorney in their faces. So many, many to choose from .. Send Toshio Tamagotchi to the Fukushima nuke site for clean-up and keep him there permanently. If it is that safe, why doesn't he volunteer to go live there? Why are you sending the homeless and poor by deception? Coward is what Toshio Tamagotchi is.